*Disclaimer: This interview was not compensated. The following Q&A took place on 7/9/2015 with a real home inspector who really uses Xtend+Climb. Every Day. 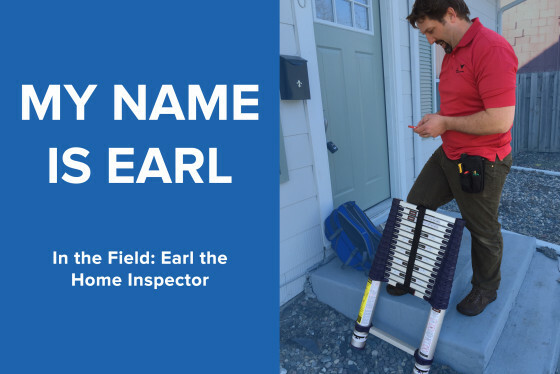 Q: Earl, tell us a little bit about what you do. A: I’m a home inspector. I inspect homes for potential home-buyers to find any potential problems they may encounter upon the purchase of a home that would lead to additional expense for them. Q: How long have you been in your field? A: Most of my life. The last 30 years or so. I started helping out my parents when I was seven. They ran a family-owned home remodeling company. I was in the remodeling and construction industry for a long time. Then I realized that what I enjoyed most about those jobs was problem finding and solving, so I went into home inspection. Q: What do you look for when selecting the tools for your job? A: My top priorities are always safety and versatility. Although I have to say that I’m also the kind of person who has to touch something before I buy it. There’s a lot you can tell about the quality and functionality of a product by picking it up and trying it out before you commit to buying it. I need to know my tools are durable, they get a lot of use in an average week. Q: What made you choose to purchase an Xtend+Climb ladder? A: I’d seen them in the field. I knew about a couple of their competitors, but what I had always been told was that if it wasn’t an Xtend+Climb, don’t get it. I did my research and first decided I wanted a telescoping ladder for functional reasons. A ladder that collapses makes it easy to carry, it can fit in tight spaces, they don’t fall over and damage things when not in use, and aren’t as likely to break peoples’ stuff like a big extension ladder. Plus, it didn’t matter whether I needed to be getting into the attic or on the roof, since it’s adjustable I only needed one ladder instead of several. Q: Have you ever had any trouble with your Xtend+Climb? A: Yes, once right when I got it. There was a small glitch with it so I called up the company. They had a new one to me within a week, no hassle and great customer service. It made me feel good to know they stood behind their product. Q: Do people ever ask you about your Xtend+Climb? A: All the time, almost every day. People see it and they’re intrigued. “That’s an awesome ladder, where did you get it?” “I need one of those for up at the cabin.” “My mom should have one of those for her condo.” “How’d you get on the roof, I didn’t see a ladder.” I definitely recommend it to others. Considering I use my ladder at least 4 times a day, I probably use it more in a year than the average homeowner would for the life of their ladder. Q: And how many years have you had your current Xtend+Climb? A: 3 years. So that’s a lot of telescoping. A lot of use. Q: Anything else you would like to tell us about your Xtend+Climb? A: It’s just a good, solid ladder. I recommend it to people buying homes as well as others like me in the field. It works for everyone. When I first started home inspections I was driving a Toyota Camry, and because of it’s functionality I didn’t have to worry about getting a bigger vehicle to make space for a ladder. It’s just a cool ladder.